I was born and raised in eastern North Carolina. Southerners pride themselves on being independent and self-reliant, sometimes to a fault. My family is no different. Growing up, my father and grandfather led by example on the skills and aspirations a man ought to have. “A country boy can survive” is not just a line in a country song for us. It is assertion of absolute fact and a call to arms, literally. I grew up in the woods, with a lot of direction from these very important men. Their lessons and stories still travel with me today, motivating me to forge my own path and ask not for what I can provide myself. North Carolina is still my home. I live in Raleigh and study pine genetics for a living. 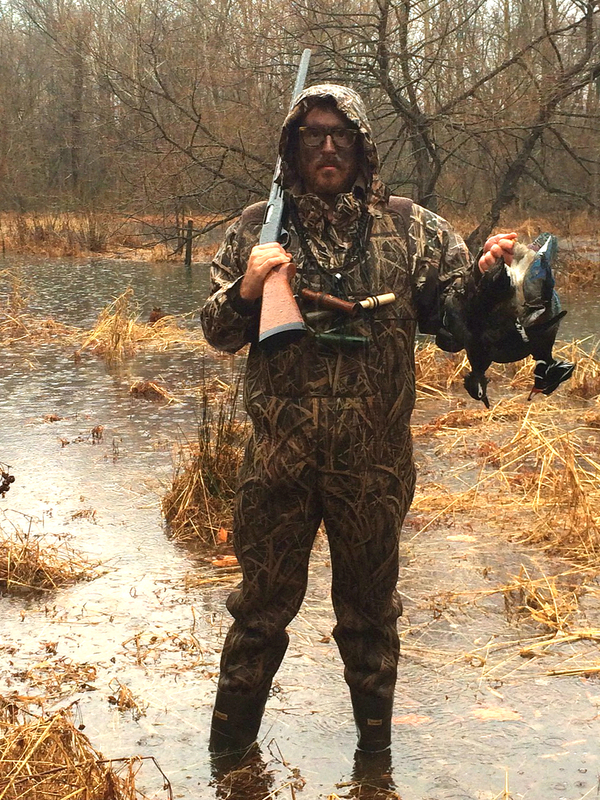 Once the Fall and Winter hunting seasons roll around, I spend as much time as possible in the woods and swamps. White-tailed deer and waterfowl are my main objectives. But I cut my teeth on small game and fish. Squirrels, doves, and crappie get me just as excited as anything else. Each year, I strive to stock my freezers with as much wild game meat as possible. At home, it is my goal to eat no meat from the grocery store. My fiance and I insist to know where our food comes from. Each meal is more satisfying when we know it has a story of hard work and passion that made it possible. Studying my hunting successes and failures are the greatest rewards of hunting season. As my journey as a hunter unfolds, I have grown closer to the natural world. The challenges faced and the dedication demanded by providing my own meat prompt me to look inward as well. I have come to understand myself more clearly. The invigoration of my spirit that comes with dancing with creation is powerful. These lessons and clarity of personal aspirations are far more valuable than any of the convenience of letting someone else do the dirty work of providing your food for you. I live in Wake County, NC and have been outdoors fishing and camping my whole life, but only last year began hunting with a primary focus on whitetail and small game. I hunt public lands, always with a friend. 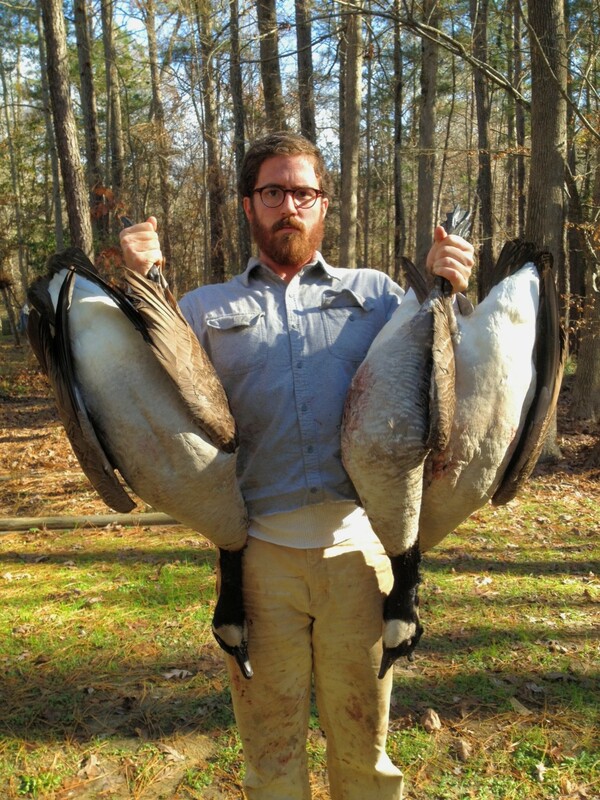 I was wondering if there was any advice for a novice hunter in North Carolina that could help my specific circumstances. Thank you much! The best advice I could give you, you have already taken up…..hunt with a buddy! Hopefully, they know a thing or two and can teach you along the way. You will both will learn much faster as you find resources of information and share them with each other. This will keep you both excited about sticking with the learning process of being a beginning hunter. Stay patient as well. You will not become a master hunter in your first season, or maybe even within your first several seasons. Learning hunting skills, and learning to be successful at hunting takes time. A good deal of it. But that is the fun part. You learn form your mistakes and take pride in your successes.